A two-drug strategy has shown positive results, giving new hope to patients with HIV. ViiV Healthcare, which is majority-owned by GlaxoSmithKline, has announced positive results from its phase 3 Gemini study. The studies evaluated the safety and efficacy of the combined use of dolutegravir and lamivudine in people who had not previously had anti retroviral treatment. The results of the latter were compared to a three-drug regimen that combined dolutegravir with two nucleoside reverse transcriptase inhibitors, tenofovir disoproxil fumarate/emtricitabine (TDF/FTC). The late-stage studies met their primary endpoint for non-inferiority in week 48. Forecasters moot a possible $1.5 billion in peak annual sales for the dolutegravir and lamivudine combination on market approval. 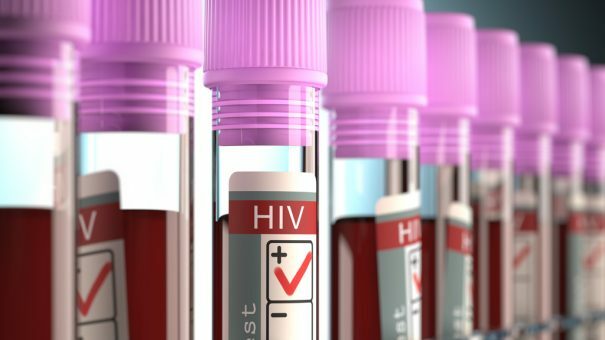 The trial is part of Viiv Healthcare’s drive to find two-drug regimens that can be well tolerated by those who are using medicine for HIV, addressing concerns over toxicity and the amount of drugs individuals must take daily for decades post-diagnosis. The studies together include approximately 1,400 men and women living with HIV and are being conducted at research centres in Europe, Central and South America, North America, South Africa and Asia Pacific. John Pottage, chief scientific and medical officer of ViiV Healthcare, said, “People with HIV are living longer and more productive lives. However, under current standard of care, many patients still take three or more medicines every day. “The Gemini studies demonstrate the potency, safety and tolerability of the dolutegravir plus lamivudine combination. They affirm our two-drug regimen strategy, and reinforce our belief that many patients can control their disease with two drugs instead of three or more. The news comes in the wake of the Canadian drug regulator and US Food and Drug Administration (FDA) this month issuing warnings about dolutegravir causing serious cases of neural tube birth defects involving the brain, spine, and spinal cord. The latter is being closely monitored. Viiv Healthcare is now working on putting forward its regulatory submissions for dolutegravir and lamivudine later this year and will reveal its full results at a scientific meeting in due course. Rival treatment Biktarvy, produced by Gilead Sciences, was approved by the US FDA in February. The triple-combination of bictegravir, emtricitabine, and tenofovir alafenamide is a one-a-day pill to treat patients with HIV-1.